It's got several possible native sources of energy for one, including chemical, high altitude winds, some potential for hydro, and (surprisingly) it has potential for solar power too, if you can install large areas of solar panels - enough to support 35 people from a square kilometer of solar panels. That would give you the US population if rolled out to 10% of Titan's surface. It has no oxygen in its atmosphere of course, but the proposals for chemical fuels on Titan use reactions that use hydrogen (e.g. with nitrogen or acetylene) rather than reactions that use oxygen. The winds at ground level are only 1-2 miles per hour, but at a height of 40 km, wind speeds reach around 45 miles per hour, and a blimp born windmill of 40 - 90 meters in diameter could generate hundreds of megawatts. The wind speeds reach 200 miles per hour at 100 km. So there is a lot of wind energy in the Titan atmosphere. Those ideas come from this paper Energy Options for Future Humans on Titan,, by the planetary scientists Amanda Hendrix and Yuk Yung, which I will describe in a bit more detail later. Then, the thick atmosphere and the low gravity greatly simplify the process of building habitats - and eventually maybe large enclosed settlements. Habitats can be built with the same pressure inside and out. There's no problem with living in slightly higher than Earth's sea level atmospheric pressure - at 1.45 atmospheres, it is similar to the pressure in a sea bed habitat at a depth of 4.5 meters. It has almost no winds at ground level (1-2 miles per hour max), and little to disturb the colonists. The surface is largely ice. You don't need to worry about waste heat melting the ice. We know how to deal with this - buildings on the Antarctic ice sheets do not melt into it, and the ice on Titan is far colder. The thing is that ice has a huge heat capacity. Before the invention of modern fridges, people used to have "ice houses") where they would store snow and ice from the winter through summer all the way to the next winter. Just domed buildings filled with snow or ice and then packed with straw or sawdust to insulate them.. It takes a LOT of heat to melt it. The ice itself is insulating too - as for igloos. Although it is very cold, at 98 °K (−179 °C, or −290 °F), normally the main issue with a habitat is to reject heat (the ISS has ammonia circulating through giant radiators to keep it cool). At least that won't be an issue on Titan with its thick convecting atmosphere. We know how to do insulation. The balloonist Julian Nott in his paper "Titan: a distant but enticing destination for human visitors" estimates that trapped gas insulation 7.5 cms thick and heaters for the gloves and visors will be sufficient for astronauts on the surface using "equipment not much different from what can be purchased today from a sporting goods store". It would be cumbersome yes - but low tech and warm - and it would be flexible too. Like wearing many thick jumpers. And the heaters for your hands would let the gloves be thinner. Indeed you could also have the entire garment heated perhaps too, like commercially available electrically heated jackets, so permitting the whole outfit to be thinner and more flexible. Its atmosphere gives you plenty of protection from even the most energetic penetrating cosmic radiation, similarly to Earth's atmosphere. Though popular belief has it that it's Earth's magnetic field that shields us from solar storms and cosmic radiation, it's actually the atmosphere, equivalent to ten meters of water in shielding effect. The average incoming proton only gets as far as a height of 20 - 50 km (60,000 to 80,000 feet) or about 7% of the thickness of the atmosphere. The rest of the atmosphere shields out the secondary radiation. See this summary by Eugene Parker, published in Scientific American March 2006. Saturn only has a weak radiation belt also, nothing like the Jupiter one, and it is far from the sun so solar storms are weaker and Titan is protected from them in part by Saturn's magnetosphere. But on the surface you are protected anyway from all forms of harmful radiation. Its atmosphere also protects it from quite large meteorites too, up to meters in diameter, like Earth's atmosphere. And finally, it has abundant hydrocarbons which are great for making plastics for your settlement. Plastics also are particularly good for 3D printing, and a lot of the work there might be automated in that way. ...If you lived on Titan, you wouldn't need a pressurized suit to survive; all you'd really need is an oxygen mask and very warm clothing, McKay said. In terms of pressure, standing on the surface of the moon would feel similar to resting at the bottom of a pool on Earth. ...because of Titan's low gravity (it's about 14 percent of Earth normal) and dense atmosphere, you could jump off a high spot and use your coat to glide down. "Hang gliding would take on a whole new meaning," McKay said. ...Titan's thick clouds occasionally rain down liquid methane. During the moon's long summer (Saturn takes 30 years to orbit the sun), its polar regions experience "Texaslike thunderstorms," McKay said. ...However, the moon doesn't have any tornadoes or other cyclones. Living on Titan, you'd also be safe from cosmic rays and moonquakes. "It's a pretty benign environment," McKay said. It would take several years of travel to get there, probably seven years though it could be shorter. Voyager I got there in just three years and two months with a Jupiter gravity assist flyby. And New Horizons on a fast trajectory doing just the one flyby of Saturn on the way to Pluto took only two years and four months to get there, but leaving Earth with much more delta v than is normal for an interplanetary spacecraft. Cassini did several flybys of Venus and Earth to increase its delta v from Earth, but from its final flyby of Earth to Saturn it took just under five years, from 18 August 1999 to 1st July 2004. That was a rendezvous with Saturn. For more on this see "How long does it take to get to Saturn" (Universe Today). It's hard to predict what our rockets will be able to do by the time this becomes a feasible proposition, to go to Titan. For instance if they are capable of continuous acceleration, even by only a small amount that can make a big difference. I think it's important to be clear that we do not have the technology to send a human to Titan at present. Mind you, even in the mid 1960s we did not have the technology to send a human to the Moon. And we don't have the technology to send a human to Mars either at present. For that matter we don't currently have the technology to send humans to the Moon, though we should regain that soon. To go to Mars or Venus is a far harder journey than to the Moon, to Jupiter is another step up, and to Titan is a step up again over any of those. However, if you are optimistic and we look forward to a decade or two into the future when we have more heavy lift capacity than we do today, and importantly - a fair bit of experience in sustainable living in habitats (perhaps on the Moon) to let us travel in spaceships for years on end without resupply from Earth - after that it might be within our reach. Elon Musk envisions his BFR traveling as far as the Jupiter and Saturn systems. If Elon Musk is right in his claims that his BFR can be fully re-usable and the cost per flight less than for the Falcon Heavy - I make it that he could send around 20 people to Titan for a cost of less than $100 million for a round trip with enough payload for fully sustainable agriculture to feed them and keep them supplied with oxygen throughout. It does however also mean outlay of the cost of three BFR's, two of which would be left in orbit around Titan- that could however be used as orbiting habitats for Titan or they could descend to the surface as instant skyscrapers on Titan. One of them returns to Earth with any that wish to return plus extra payload. Of course many breakthroughs are needed before that happens. If you are optimistic, I'd venture as a guess, 20 to 40 years before we can do that. If pessimistic, who knows, generations rather than decades, it may be a flight for our grandchildren. The methane in the atmosphere is useful too - not for burning in the atmosphere, as it has no oxygen, but Elon Musk's BFR uses supercooled liquid methane and liquid oxygen. If you can extract oxygen from the ice then you have a refueling depot for the BFR. I cover this later in the section "Realistically, could we get there in the near future, over a timescale of decades rather than centuries?" The Jupiter system is somewhat easier to get to, and there, the natural place for humans I think is Callisto (not Europa). Europa is in Jupiter's intense radiation belts and also it's a major planetary protection issue. The last thing we want to do when exploring Europa is to bring our microbes and just discover the life we brought there ourselves. Also though it seems smooth from a distance, close up it is one of the roughest bodies in the solar system, with crevasses and ice blocks - not only that, but in some places the ice blocks are actively moving around and turning over right now. Ice blocks the size of Manhatten. There is evidence of changes, and when we next go to Europa we may see major differences in some of the features in detail. Callisto is a far far better place to send humans if you want to visit Jupiter and beyond. It's outside the intense radiation belts, and it is a stable old surface with no changes for billions of years apart from the occasional impact crater. It's got just as much ice as Europa, indeed, more so, so is a natural source for refueling. It is not so deep in Saturn's gravity well. As an old undisturbed surface, it should have received a useful 120 - 140 meters of organics and other materials from asteroids and comets. And unlike its better known cousin Europa, it has no planetary protection issues at all, and is classified as Category II, the same as the Moon. It is thought to have a deep subsurface ocean but with no communication with the surface. Anyway I'll come back to Callisto towards the end of this article as it is also a very interesting target for humans in the outer solar system, and has had a fair bit of attention in the HOPE study, the study by the Lifeboat Foundation: Colonizing Jupiter’s Moons: An Assessment of Our Options and Alternatives and Erik Seedhouse's book about a human mission to Callisto. For Saturn the natural stopping point for humans might be Titan, a great location for a base to explore the whole system. Artist's impression of Elon Musk's BFR exploring the Saturn system from his presentation in autumn 2016. I think we are likely to be able to send humans that far eventually if we continue with humans in space. Whether as soon as he suggests, I don't know. Perhaps its more likely to be the next generation, rather than this one. But if we do achieve closed system recycling for multi-year interplanetary voyages - well - we can dream :). Maybe we can have humans there within a few decades. If so, Titan may be a natural base for them, and the nucleus of a large settlement - and could it eventually become a colony? First we need to be sure that it is okay to do so. We need to check that it is similar to Callisto and has no planetary protection issues. You can use Pocket - an application that helps with off line reading of web pages. You can also save this page as a pdf. On windows you can use print (Ctrl + P) then change the printer to the pdf printer. The Print button then changes into a Save button and you can then save it where you want. Note: the embedded YouTube videos won't work if saved as a pdf, but for this page I've added "(Click to watch on YouTube)" links below each one and those will work in the pdf. You can also save it as a web page. Most web browsers have an option to save a page as "Web page complete" which includes all the images in the page saved on your computer for offline browsing. Be sure to give it time to download the page before you close the browser tab. I plan to make it available on kindle soon. You can use the same methods for any of my longer articles here. Easier place to settle than M ars or the Moon? What would they do there? Realistically, could we get there in the near future, over a timescale of decades rather than centuries? How many crew could we send to Saturn on a multi-year journey with 150 tons of payload? Could Earth life harm Titan life? Could Titan life harm Earth life? This article is not particularly about Mars, but some of you are bound to think the idea is for Titan to be a substitute Earth, like Elon Musk's ideas for Mars. Although I think Elon Musks' work on rocket technology is great, I do not think we need to become "multiplanetary" as a top priority. We'd go to Titan secure with an Earth behind us that we protect and preserve. It's sensible to have an off world backup of seeds, knowledge, and other things too, but I think it's far better to have a focused backup as our way to do that. We need to be able to look after Earth - it's far easier to live here than anywhere else in our solar system. SpaceX have a wonderful graphic showing Mars terraforming as it spins, with oceans and greenery appearing within seven days. Of course that's not meant to be taken literally - but the reality is that it would take centuries of constant application of megatechnology to reach that stage (if you can at all). Then, you would still need to keep it warm through planet sized mirrors or constant production of greenhouse gases as Earth's atmosphere would not keep Mars warm enough even for trees. There are many other issues with terraforming Mars. So, that's not the focus of this article but I thought I should mention it briefly. 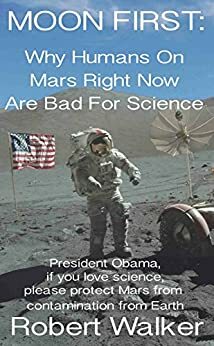 As the title says it is much easier than the Moon or Mars, once you get there, I should say a bit about why Mars is not easy, as many have got the impression it is. It looks so hospitable in the photos, much like a desert in the US. You can imagine finding a source of water, irrigating the ground and growing crops there. But in this case appearances are very deceiving. With no atmosphere you need a $2 million spacesuit just to get outside your habitat. Perhaps reduce to $200,000. It takes several hours to get into your spacesuit in the morning to go out of doors. If you damage it then it's a very expensive replacement. It needs overhaul regularly. The suit has to hold in atmosphere at tons per square meter of fabric. It has to scrub CO2, it has to maintain a steady temperature cooling you down, supply oxygen, protect against the environment. The atmosphere is so thin the moisture lining your lungs will boil at blood temperature which means you can't take even a single breath with an oxygen breather or an aqualung, but need s full body pressure suit (as your skin naturally is not able to hold in full atmosphere pressure). This is basic physics and can't be adapted to. Creatures with warm blood and lungs can't breathe on Mars even with an aqualung, no matter how much they are adapted to it. The air in your lungs is useless, indeed if sudddenly exposed to Mars atmosphere your best response is to immediately breathe out all that useless air in case it damages your lungs as it expands. Then you can remain conscious for no more than 15 seconds, for as long as the oxygen dissolved in your blood lasts. The dust there is laced with perchlorates which harm your health long term. Also it is likely to have chlorates and chlorites caused by the UV interacting with them which can cause unconsciousness and death over short timescales. You are almost bound to get some dust comes into the suit and your habitat. It is very cold. It may look warm - but that's just because the atmosphere is so thin that ice can't form in equatorial regions and because it has lost nearly all its water. If it had as much water as Earth the equatorial region would be covered in thick layers of ice and snow continuously. It's not quite as cold as Titan but it is far colder than Earth. The temperature at night for 100 days in the two year long year is so cold that CO2 freezes out as dry ice - so it's not exactly warm - it's got many similar issues to Titan as regards keeping warm. And there are huge temperature swings from day to night, far more so than on Earth. Titan doesn't have that. Radiation hazards - The surface is a dangerous place to be in solar storms as it doesn't shield out enough to protect someone in a spacesuit - you'd have to find a storm shelter soon. Gets far more cosmic radiation than Earth. Long term you need several meters of regolith shielding or you have a greatly increased lifetime risk of cancer, with cancer at youth a distinct possibility not only when old as for smoking. Only protection against micrometeorites - the atmosphere doesn't protect against larger meteorites, and you get ten times as many hitting Mars as for the same area of Earth. Economically the main difference is the very expensive spacesuits that need replacing, not much by way of in situ power sources (will not have solar power during the long dust storms), and the heavy duty habitats needed to hold in the ten tons per meters outwards pressure. That includes any agricultural areas. The flimsy greenhouses shown in some artist's impressions wouldn't work on Mars - they have to withstand at least a ton per square meter of outwards pressure even if at a tenth of Earth normal atmospheric pressure. Meanwhile as well as having almost none of those disadvantages, Titan has many cool advantages too - easy flight including human flight to get about, abundant hydrocarbons for plastics, etc. I go into those later. EASIER PLACE TO SETTLE THAN MARS OR THE MOON? However, the "easier than Mars or the Moon" in the title of this article doesn't mean "Easy". Just easy as compared to these harsh places. Titan is so large I think it deserves to be called a "Planet Moon" as some planetary scientists have suggested, for moons large enough to be rounded under gravity. However, it is no substitute Earth. This is in a future where Earth is a planet we protect, as the most habitable place in our solar system, and likely to remain so for the foreseeable future. I'm thinking of Titan as a possible place to explore, and maybe settle, but not a second Earth. It's bound to be a harsh and difficult place for humans to live. Anywhere on Earth, even the harshest coldest cities in Russia or Candia, is like a paradise compared to Titan. But then, I'd argue that - once you get there, if you can find a way and an economic reason to be there - Titan in turn is like a paradise compared to Mars or the Moon. For early stages at least. Earth is always going to be a far easier place to live than any of these places. That is, unless perhaps we get to a future with vast city dome space colonies, caves and other large enclosed areas, and can also achieve this with almost zero maintenance of the outer skin of the colony and have reliable low maintenance closed systems to maintain the colony internal biospheres as well. That may be possible at some point but I think it's likely to be a fair way into our future. One of the big issues with Mars is that it is one of the few places in our solar system where present day life may exist, perhaps independently evolved from Earth life. It may also have habitats where Earth microbes could survive, and we simply don’t know if Earth and Mars microbes would play nicely together. It could be, for instance, that Mars has early life that has not evolved as far as it has on Earth. It could be so early that it predates all the complexity of DNA. We don’t have any early life on Earth for us to study. There is a huge gap in our knowledge after the first chemicals life must have evolved from, which are abundant in our solar system and the laboratory experiments creating life precursors in a flask such as the Urey Miller experiment. This helped support the idea of a "primordial soup" with all the chemical ingredients needed to kickstart life. Since then we have found many more chemicals that can be produced in this way. However, we are nowhere near the point where we could create even the simplest of living cells from non living chemicals in experiments like this,or indeed, at all. It is all theoretical ideas with no hard data yet. Present day life is so intricate with its DNA, messenger RNA, huge molecules and a million different chemicals taking part in a complex dance in every cell. There are probably as many stages of evolution missing, between chemicals and the DNA based life, as we have evidence for since the origins of the first DNA based cell. Perhaps half of the history of the evolution of life is missing - and it's by far the most interesting half for understanding the origins of life. And our laboratory experiments can only take us so far, not even as far as the first, simplest, probably imperfectly replicating early cells. So what happened to the early life on Earth? Why don't we find any intermediate steps to help us understand the origins of DNA based life? Well, a likely bet is that DNA life, when it evolved, made all the earlier forms of life extinct on Earth. But Mars has hardly changed for billions of years. There are traces that just possibly might be tiny cells, too small for all the cell machinery of modern life in the ancient Mars meteorite ALH84001. They may equally well be due to chemical processes. But if they are life, it suggests that - just possibly as one of many possibilities - Mars may still have this early life on it. Such life might be incredibly vulnerable to Earth microbes. Many astrobiologists have said that NASA's sample return mission, interesting as it might be for geology, is not the way to search for life there. It's likely to return samples as ambiguous for astrobiology as the Mars meteorites we already have. They strongly emphasis that the first thing we have to do is to send astrobiological instruments to Mars to search in situ, on rovers that also have the ability to drill if necessary to several meters. However, even if NASA or ESA or some other space agency starts a focused astrobiological search on Mars, right away, it would take a while unless they went all out with many rovers and landers. It's a complex planet with a total area the same as Earth's land masses, and many suggested habitats to investigate. What's more, these are cryptic, not possible to search from orbit, as they consist of thin films of moisture, droplets of water forming where ice and salt meet, or layers of water below ice, salt or dust. The life is likely to be slowly metabolizing and sparse, perhaps with microbes with individual lifetimes of millennia. There is no short cut; we have to send rovers to those habitats in situ on the ground, at least to a few of each of a dozen or more distinct kinds of habitat, to have a first idea of whether there is life on Mars and what it is like if it is there. That would be a preliminary survey, similarly to trying to asses the biology of Earth with a few missions to each continent. Is This Why We Haven't Found Life On Mars Yet? Value Of Actually Looking. Some people think that we should ignore issues of planetary protection. But if we did actually find a very vulnerable and extraordinarily interesting early form of life like this on Mars, or something else equally vulnerable and wonderful, I think many would come round to the view that we do need to protect it. Humans are not a problem here. But the microbes that accompany us by the trillions may be. We have extremophile hitchhikers that travel with us wherever we go. Even if you don't care for astrobiology or finding out about the origins of life - if we found something like this it could be revolutionary for biology and science, perhaps medicine, agriculture, nanoengineering. There's no telling how much research and what inventions and discoveries could stream from such a discovery. We have often caused harm through just not knowing what the effects of our actions would be. It would be tragic to lose something so wonderful, just because we didn't look first, to see if it was there before sending humans to Mars. It's not us that are the problem, it's the microbes that travel with us wherever we go, some of which are polyextremophiles, happy to live in our habitats but also well adapted to extreme environments. Anyway the upshot is that the best place to start for planetary protection reasons is the Moon. It is also a great place to start for other reasons too. We can do a lot there. It’s closest and safest, scientifically interesting, and it is known to have water ice, ammonia, carbon dioxide etc in the cold traps at its poles, millions of tons possibly, though we don’t yet know how easy it is to extract. However, actually the atmosphere and water is a rather small part of the total mass of a habitat, even if it has a large area for growing food for astronauts - assuming we use the efficient methods of the Russian 1970s BIOS-3 experiments, with only 30 square meters of growing area per habitat. Only kilograms of carbon dioxide in a large habitat, as it is a trace gas in our atmosphere, and if we use aeroponics - growing plants with a water vapour mist for the roots, then the amount of water used is very low too. We don't actually save much by sourcing those materials locally, so for the purposes of farming at least - it doesn't really matter that much if the Moon has abundant easy to extract volatiles, in the millions of tons (as some think), or not. There are many other places we can visit with no planetary protection issues, including Jupiter’s outermost large moon Callisto, the moons of Mars, Mercury (which is thought to have ice at its poles) and probably the upper clouds of Venus. But amongst them also is Titan. Titan is unusual because, though there is a possibility of life there, any native life is likely to be so different that Earth and Titan life can’t live in the same conditions. This means that they may be able to co-exist in different habitats, neither interfering significantly with the other. There is a chance of this for Mars also. One suggestion is that its native life has cells which are rich in hydrogen peroxide and perchlorate in place of the water rich in chloride salts of Earth life. Such life may also be adapted to salty brines far too cold for Earth life, and they may even not be able to survive warming up to Earth microbe friendly conditions. For more on this, see Life that uses hydrogen peroxide, or perchlorates, or both, INSIDE the cells in my online book in my Touch Mars? Europa? Enceladus? Or a tale of Missteps? (warning, it's around 2000 pages as a single web page, give it time to load). Though this is a seriously considered possibility for Mars, it’s a bit of a stretch at present. For Titan it is perhaps the most likely situation, life that is unable to live in the conditions normal for Earth microbes, and vice versa. And, Titan is surprisingly habitable. Nowhere in our solar system is a patch on Earth of course, as a place for humans to colonize. The coldest driest desert on Earth wins hands down over any place outside of Earth. But Titan could come a close second best, despite the cold temperatures there. Saturn's moon Titan is, so far, the only known place in the solar system with liquid on its surface apart from Earth. Most of the lakes are around the north pole, with one lake, lake Ontario, at the south pole. But the lakes are of ethane and methane instead of water. Glint of sunlight on the lake region around the northern pole of Titan. Near infrared image. Titan is the only place in the outer solar system which we have sent a lander to, the Huygens probe. The Northrup group's VAMP aerostat could also be used for Titan. See also Life on Titan (wikipedia). This is such an extreme habitat, at temperatures of -180 °C, that it seems impossible that Earth originated life could grow there naturally, except in cryovolcanoes or ice temporarily melted by impacts. The limit for microbes to complete their life cycle is usually given as around - 20 °C (the usual temperature for freezers), around -10 °C for lichens, and around -2 °C for higher lifeforms such as insects, though there can be some metabolic activity down to -26 °C for microbes and down to -50 °C or lower for some cold hardy multicellular life. Details, lowest temperatures for Earth life: The lowest temperatures that microbes can grow, i.e. complete their lifecycle and reproduce, is usually said to be around - 20 °C in salty brines, for instance, there have been no examples of spoilage of food in freezers kept below that temperature. When cold loving (psychrophile) microbes are cooled, they produce a kind of antifreeze that prevents formation of the ice crystals which normally damage cells as the ice expands. Instead their cells gradually turn into a kind of glass as they cool down (vitrify). As they do this, they can can still do some metabolic activity until they are completely vitrified and it stops completely at - 26 °C which seems to be the limit for any activity at all. Some invertebrates may continue to have some metabolic activity down to much lower temperatures, below - 50 °C. Insects may not just have metabolic activity but even remain active at low temperatures, for instance a Himalayan insect which is still active down to −16°C. But even these cold tolerant multicellular lifeforms typically need temperatures of around -2 °C to complete their life cycle. Also there is no liquid water, instead, ethane and methane, which makes it exceptionally interesting for exobiology, if there is life there. There is no way it can be similar to Earth life. Even the cell walls can't be the same. There are some microbes on Earth that can live in hydrocarbons, by having an extra layer to protect themselves from the oil, including a report of one strain of Pseudomonas able to tolerate up to 90% of a hydrocarbon alpha-pinene. They don't metabolize the hydrocarbons but usually have an outer membrane modified to let them tolerate them. See page 38 of this PhD thesis by Lucy Norman. There are many bacteria in oil fields, some of which are able to biodegrade the hydrocarbons themselves (e.g. Desulfotomaculum thermocisternum, page 120 of this article). However Titan life would have to live in 100% hydrocarbons. The cell membrane structure of Earth life would not work in those conditions as it depends on hydrophilic molecules that are attracted to water to retain its structure. There is water inside and outside the membrane, and then the membrane itself consists of long chain molecules with one end hydrophobic and the other hydrophilic. Then they join together back to back to form a membrane with the hydrophilic heads pointing both outwards and inwards and the hydrophobic tails touching each other in the middle of the membrane. Yellow polar heads separate the grey hydrophobic tails from the surrounding water and the interior fluid of the cell itself. Diagram by Jerome Walker. Figure 7 of Lucy Norman's PhD thesis on spontaneous self assembly of reverse vesicles suitable for Titan in hydrocarbon fluids. She credits it as: "Illustration of the reverse vesicle structure taken from Norman&Fortes"
Lucy Norman looks at many ways that reverse vesicles can spontaneously self assemble, from her experimental results. It's very technical. But she has a summary in her chapter 9 which looks at the applications for astrobiology. It's unlikely that these reverse vesicles would be used only for cell walls. The hydrocarbon lakes of Titan are likely to contain more than one alkane liquid, with methane-ethane-propane in equilibrium with the atmosphere. The vesicles could be used to create a cell with a "cytoplasm" that differs from its medium, and also, pockets of unique solutions for specific purposes within the cell. These pockets then could be used to create the equivalent of the organelles of Earth microbes, which could also trap different alkanes to help with whatever process that organelle is devoted to facilitating. Multiple vesicles joined together then have the potential to carry out long chemical processes with different chemical environments for each step. Some of them could also trap ammonia water in bilayers which could decrease its freezing temperature to the point where perhaps it could be used for nano-reaction centeres for bological processes that depend on polar solvents. Then there could be nano-channels of liquid ammonia water to transport these throughout the cell. The microbes on Titan could get the water from short lived liquid water from cryovolcanoes (cryolava) or maybe from the icy bed of the hydrocarbon lakes using antifreeze proteins. They could be used as reservoirs for polar solutes (like the ammonia rich water) and to transport proteins and enzymes. He mentions there that Huygens made provisional observations of hydrogen and acetylene and ethane depletion near the surface of Titan, which they'd predicted as a possible sign of life on Titan. Also he mentions that oxygen would be in short supply, in a hydrocarbon ocean without water, and need to be extracted from water ice "rock" by microbes. This is related, a possible way that life on Titan could make cell membranes without use of oxygen atoms in an environment like Titan where it is in short supply. Possible oxygen free cell structure made of organic nitrogen compounds that could function at the low temperatures of Titan's ocean. Such oxygen free cell walls are exotic biochemistry but still carbon based. Titan's ethane / methane ocean is also ideal for William Bains' silicon based biochemistry (with silicon's weak bonds permitting much faster chemical reactions in such cold conditions). See page 160 of this paper and earlier pages. You can read about Chris McKay's ideas about Titan in detail in his 2016 paper Titan as the abode of life. Amongst other evidence, the photochemical models predict a layer of ethane enough to cover the surface to a depth of many meters, but Cassini didn't find it. The Huygens lander didn't find any acetylene in the gases released from the surface. And models suggest that hydrogen is being transported towards the surface suggesting something there is removing hydrogen from the atmosphere. Also, there is more hydrogen above 50˝N than the global average. Could this be because the southern hemisphere, with more ethane, is more hospitable to life than the northern hemisphere dominated by methane? That it's due to a liquid methane based life form. If that's right, then we may be able to land humans on the surface of Titan with no planetary protection issues, at least in the forward direction from Earth to Titan. That is, unless there is any cryovolcanism or other connection with its subsurface ocean. But if there is no such connection, then there would be no way to contaminate its deep subsurface ocean from the surface. You'd also have to consider whether there is a chance that Earth biochemistry could give native Titan life "new ideas" I suppose. Atmosphere at the same pressure as our Earth's atmosphere. Your spacesuits wouldn't need to be pressurized. They would of course have to be insulated from the cold, but they would be much more flexible, without the enormous outwards pressure of tons per square meter needed in vacuum conditions. You could build conventional houses too, equal pressure inside and out. They would only need to be air tight. Plenty of ice for water. Super conducting coils - at 98 K then the temperatures there are low enough for high temperature super conductors. This can be useful for ultra strong magnets, and for compact superconducting generators for wind turbines and other applications. Protection from micrometeorites (Titan's atmosphere protects even against large meteorites up to several meters across similarly to Earth's atmosphere). $2 million spacesuits good for a couple of dozen EVAs that you have to put on every time you leave the habitat and hours of preparation for an EVA. On the ISS they start the process of getting ready for an EVA the previous day and have to go through numerous checks in an amazingly complex procedure. This may perhaps get reduced to $200,000 spacesuits if optimistic, and maybe an hour or two instead of a day to prepare. But unless you live in a pure oxygen atmosphere, which is a fire hazard, or have higher pressure very stiff spacesuits, then it's going to be a cumbersome business getting on your spacesuit. This has to be far more expensive than thermal protection, airtight suit and aqualungs needed for Titan, and you could don them in a couple of minutes, with similar safety checks to a diver checking their aqualung gear. Now we come to the things that may make it harder to live there, What are the disadvantages of Titan, and the issues to be overcome. Distance is the obvious one, but there isn't much we can do about that. On the plus side it's a great place for exploring the Saturnian system. Enceladus particularly is right on your doorstep. Gravity levels are lower even than for the Moon. Would humans be healthy at such low levels of gravity? Well, if not, we may be able to augment it with artificial gravity. The considerations are the same as for the Moon. So we are likely to have sorted this out long before we send humans to Titan. Many people say that to have a habitat spinning for artificial gravity it needs to be kilometer scale. But we have never tested this. Al Globus has examined the experiments in AG on Earth and he thinks most people can adjust to several rpm long term which is enough to reduce the size of a spinning habitat so much that it is no longer a significant consideration. See his many papers on this topic linked to from his Free Space Settlement page. We may be able to tolerate spin rate far higher in zero g environments. From experiments done by the Skylab astronauts then astronauts in space can tolerate high spin rates they could never tolerate before or after, without even a trace of nausea or dizziness. Here is Tim Peake spinning at about 60 rpm in the ISS. for a couple of minutes, no nausea, only momentary dizziness when he stops. In this video he is spinning fast enough to have full gravity at his feet and head, which also shows that our circulatory system works just fine with gravity gradients in zero g.
He says that he couldn't have tolerated this on the ground and this is also what the Skylab researchers found. He says that it's his vestibular system that's deactivated, but the Skylab researchers concluded that it's probably the otoliths that sense linear acceleration that are de-activated. They postulated that the dizziness and nausea is due to conflicts between the two. They found, interestingly, that this adaptation also continues for a few days after the astronauts return to Earth, hypothesizing that perhaps their otoliths remain de-activated. There are many calls from researchers to carry out experiments in AG in space. Joe Carol has devised a way we can test it with a tether attached to the final stage of a Soyuz TMA or any crewed ship on its way to the ISS. He is an expert in space tethers and several of his tethers have flown in space. He says we could get his experiment together within a year to get our first data on artificial gravity for humans in space. We could also get some information just by asking astronauts to spin in the ISS. Even without the short range centrifuge that researchers wish to send to the ISS. Astronauts in the ISS have a working day of around eleven hours, not giving much free time during the day (4.5 hours including eating). However, they have weekends and holidays off work, details from Jason Hutt's quora answer - ISS Vehicle Integration and Daily Operations Management. Perhaps one of the astronauts could take it on as a fun challenge, to see how long they can spin in zero g, at 60 rpm without getting nauseous or giddy? Maybe we can spin endlessly in space with no ill effects at all? Or do we eventually feel nausea? Of course it would have to be them doing it for fun. Not like an unofficial experiment bypassing the official channels - that would surely be frowned on. But if one of them reads the suggestion and says "Oh that seems cool, let's try it out?" And they then make observations about whether they experience any dizziness or nausea as for Skylab and then try the same on Earth before and after. And maybe nowadays there are specific tests also you could do to test the hypothesis that the otoliths are indeed de-activated in ways not available to the Skylab researchers? That sounds like the sort of thing that would be thought acceptable within the limits of astronaut hobby experiments in their free time. And they would have lots of equipment they could use to test things if there are specific things researchers are interested to know about. So long as it is instigated by them and done for fun as a leisure activity. And - I have wondered if just spinning like Tim Peake did for a while every day would help with combating the effects of zero g on the body? A few minutes of spin a day - does that help with bone loss for instance? After all they are more unhealthy when they get back even with all their exercise than a bed rest patient who has been in hospital confined to a bed for all that time. To simulate the effects they need head down bed rest. So maybe even spinning like that for a short while a day would remind the body that its load bearing bones need to be strong, as for a bed rest patient? What about gravity - isn't that a big advantage for Mars over the Moon? Also just to mention a couple of things that don't seem likely to be major issues. You also have to be design the habitats to be well insulated .but that is something we know how to do. Generally in a space habitat heat rejection is the main issue, and the ISS has ammonia circulating through giant radiators to keep it cool. With Titan and a convecting atmosphere heat rejection will be much easier. You are going to be in a thermally insulated dwelling and wear a full body suit when you go outside, enclosing your body like a wetsuit perhaps, and with an aqualung. indeed much like a diver. Probably with heating elements in the suit too to keep you warm. We know how to do thermal insulation. This outfit is simpler, and far lower cost than a spacesuit. I think at this point it's best just to quote from the balloonist Julian Nott in his paper "Titan: a distant but enticing destination for human visitors"
"Titan’s surface temperature is -79°C, so it will be essential to keep both Titannauts and equipment warm inside a cocoon of insulation. Nevertheless, the temperature difference between the skin and the environment is only about twice that seen in the coldest terrestrial environments and, on what is currently known and inferred, there is little wind on Titan. Furthermore, gas conductivity falls sharply with temperature, so that simple trapped-gas insulation will work better than on Earth. "With a surface area of 2 m2 and insulation 7.5 cm thick, heat loss should be about 150 W, which can be generated by light activity. Batteries to heat a visor and gloves would weigh little on Titan. "Titan’s global atmospheric composition has yet to be completely characterized, but what Huygens detected was not highly toxic. For instance, there was 0.2 ppm of hydrogen cyanide, far below the OSHA limit for continuous exposure. However, the long-term effects of inhaling methane and other hydrocarbons are unknown, as is also true for the heteropolymer molecules (tholins) formed by UV irradiation of simple organic compounds such as methane in the upper atmosphere and floating everywhere in the atmosphere. Mask or hood safety pressure will, therefore, be advisable, but a temporary inboard leak would probably be harmless. "For simplicity, a Titan habitat would likely operate at ambient pressure, so that returning to a spacecraft with an Earth-normal cabin would involve mild decompression without any requirement for washout of N2. It therefore seems that Titannauts could live in a simple habitat above ground and walk on the surface using clothing and equipment not much different from what could be purchased today from a sporting goods store. " The habitats will also have to be airtight to prevent the methane in the atmosphere mixing with the oxygen rich atmosphere of the habitat, which is an fire risk. On the plus side, it doesn't have the risk of rapid decompression of a normal space habitat, and any leaks will be very slow. You might wonder about the smell of methane if you are used to the smell in domestic situations. However pure methane is actually odorless. On Earth we add a smelly compound by design, usually Tert-Butylthiol, as a safety measure to help us notice leaks. It doesn't need full pressure spacesuits and those are eye-wateringly expensive, at two million dollars good for a couple of dozen spacewalks. The spacesuits are so complex and have so many tasks to perform that I think it's optimistic to expect even a ten fold reduction in price to $200,000. And I think it will be a long time before we have spacesuits that can be used for years without frequent repairs and regular replacements by new suits. See What is a Spacesuit? (NASA). On Titan you just need an airtight insulated covering and aqualungs to get outside. Its habitats will be far easier to build probably. But it does need solar panels or a way to generate power. It is bound to have many things that need to be paid for to start with. Even if we have excellent recycling and grow food efficiently within a small area, the 30 square meters per colonist of BIOS-3, which also generates all the oxygen the colonists need - still there will be many components of the life support system that you can't make locally. Pumps, filters, batteries, solar collectors, light pipes, what have you. Initially all of this will be made on Earth (or perhaps the Moon by then). As for other space colony ideas, we can't assume that there is a large scale civilization there already. Maybe eventually it can have its own industry and internal economy, even become materially and economically self sufficient - but first it has to have a way to bootstrap itself up, unless there is a continuing trillions of dollars outlay to pay for the colony. What exports could it have to pay for everything? Perhaps it could be paid for by a tax on space mining used to subsidize space mega projects? Maybe this is a future for an Earth with an abundance of wealth? Low temperature conditions - anything that needs low temperatures, liquid nitrogen temperatures, may be easier to do on Titan than on Earth. Chemical products other than life - again if there are chemical products that are most easily made in those conditions. Anything it produces would need to be lightweight and high value to be worth the export costs. The ethane / methane in its oceans doesn't seem like it would be sufficiently valuable for export. But plastics perhaps? It might be a place to make high grade plastic goods to export to the rest of the solar system? Or maybe it has valuable products from biology. Of all places in the solar system it might be one of the most likely to have an interesting biology that also produces things that are of interest to export. The main issue with paying for exports using some unique biology is that if it is able to grow in Earth normal conditions, why do you do it locally? Unless perhaps it is dangerous to Earth's biosphere, but in that case you'd be doing it via telerobotics probably with no humans close by. However, if the biology requires such low temperatures to survive and the conditions in Titan, it might be easier to grow it on Titan than elsewhere. It might be that it costs so much to reproduce Titan's conditions elsewhere, including on Earth, that it's easier to grow whatever is there on Titan itself. In the same way, any chemistry that actually requires conditions identical to those on Titan may be easier to accomplish on Titan than on Earth. And, would humans there mess up things, even if our microbes can't grow there, with our trash, and things like strip mining the planet etc? This I think depends on how exactly we approach Titan. We could use Titan in an exploitive way - for instance if there is some unique biology or resource there that's in principle renewable, to only use as much as can be renewed or to exploit it to the extent that it is gone within a generation. It would be up to us to use any resources on Titan responsibly as for anywhere else, including our own Earth. This section is necessarily sketchy as we don't know much about Titan yet, with only one lander with few measurements made. Hydropower - just as on Earth if it has any lakes at higher altitudes they could produce power by cutting a channel to a lower level. Sadly the seas discovered so far seem to occupy the lowest levels in the landscape, at the lunar poles. Still, the topography isn’t very high resolution and there is plenty of scope for finding lower levels close to the seas. It would only take 145 meters of difference to generate a very useful 9 MW assuming flow rates typical of hydropower installations on Earth adjusted to Titan conditions. The Kraken ocean could supply power at these levels for thousands of years - and it could be replenished too by natural processes refilling the seas just as happens for hydropower on Earth. However this depends on more detailed topography for Titan. Wind power - with such a dense atmosphere then wind power is feasible (unlike the case for Mars) - but surface winds are slow so you could use tethered blimp or balloon mounted windmills at a height of 3 km where the speed is 2 meters per second (4.4 miles per hour) or even better at 40 km where the wind speeds are 20 meters per second (44 miles per hour). These could generate hundreds of terrawatts. Compare the total energy consumption for the world from all sources of 5000 terrawatt hours a year so averaged at 0.5 terrawatts. Solar power. Surprisingly, with modern efficient solar cells, covering 10% of the surface would give you enough power for the population of the US (which has a surface area 10.8% that of Titan). I.e. at typical population densities of the US you’d need roughly equal areas for the solar panels and for the human populations. Chemical - for instance hydrogen and acetylene can be extracted from its atmosphere and react together to produce energy. There are several other reactions including hydrogenation of nitrogen to produce ammonia using chemicals in its atmosphere which is quite a bit out of chemical equilibrium. Nuclear power - likely to be useful for early missions there using RTGs as a source of heat and power. Mining for it locally may be hard as radioactive materials are likely to be deep below the surface, under hundreds of kilometers thickness of ice, so these materials would probably be imported. "We estimate the amount of solar energy available at Titan’s surface by scaling down from Earth. At the top of Earth’s atmosphere, the average solar energy is 1400 J/m2 -s. At the top of Titan’s atmosphere, this scales to 14-17 J/m2 -s. Titan’s atmospheric transmission depends on wavelength: the red and nearinfrared are transmitted (minus methane absorption) whereas blue light is absorbed; here we assume that 10% of the solar flux makes it to Titan’s surface. In reviewing the response function of various photovoltaic materials, we estimate that Titan’s transmitted spectrum is best matched by the response of amorphous silicon or perhaps cadmium telluride (CdTe) photovoltaic material. Нe efficiency of these material is in the ~13-20% range but the performance at Titan temperatures is unknown. To be conservative in this initial, simplified exercise, we estimate the efficiency at 10%. We also consider that for any low-mid latitude location on the surface, the sun is up for ~1/3 of the day. (This does not consider seasonal variations or eclipses by Saturn.)" The solar power doesn't have to be solar panels actually. Thin film mirrors to concentrate the sunlight could make a big difference and would be easier to construct with the low gravity and benign conditions with no winds to speak of. Maybe large solar furnaces would be the future there. Or thin film mirrors focusing the sunlight on smaller solar panels. Thin film mirrors would still be only a small proportion of the weight of a habitat that depends on solar power right out to Pluto and beyond. You would need some way to survive the Titan night which is around seven and a half days. One natural way on Titan is to use the power sources to generate oxygen, or make acetylene or some other chemical fuel that you then use at night. It's the sort of place where a reality show type settlement would be dismal, they'd be all wanting out in a week. Pitch dark outside, like living in the Arctic as an Inuit in winter. You can only go out wrapped up like a diver but with a suit much thicker than a wet suit and goggles and rebreathers. Mars would be a depressing place too if you experience the natural light there. The light levels are half those on Earth but also the blue light is filtered out making the landscape on Mars a dully muddy brown. The sands are red, yes, but as seen on the surface due to the light levels there, they are more like a muddy brown. The images we get sent back are white balanced to be easier for human eyes to interpret. If the Mars One project had gone ahead, I think "reality show" on Mars, I know the idea wasn't like Big Brother and they would have had to stay there for life. But you'd probably have had one contestant want to leave the habitat every week anyway, not because they were ejected, but because of the dark, dull landscape nothing like what they expected, and nothing to do inside, and having to spend hours donning and taking off spacesuits to do it safely, and not much to see outside either except the same landscape they always see, no changes, hardly any weather except the dust storms, no water, rarely even a wisp of cloud, and the dull yellowish brown colour everywhere. I agree that Titan would be just as dismal for a reality show, if there were people there with nothing to do except try to live there. However, Inuit in the high Arctic manage just fine. They don't have either cabin fever nor seasonal affective disorder even though it is dark throughout the winter, pitch darkness through to dusk / dawn illumination levels. Here is Alice Qannik Glenn talking about what it was like to grow up as an Inuit in the most northerly populated area of the Arctic, and insights this brings to human missions in space. And here she is &lt;a href="http://www.thespaceshow.com/show/04-mar-2018/broadcast-3074-alice-glenn" target="_blank"&gt;talking about it on the Space Show&lt;/a&gt;. One of her main point is the need to get out of doors and do things. To have something you are involved in not just to sit in your home all the time. Well on Titan that will be easier to do than anywhere in the solar system. You can don your cold weather gear in minutes. And there's much you can do out of doors too. Not only that, though you wouldn't be able to see Saturn from the surface, it's got gravity lower than on the Moon. Especially with a BFR on the surface and with lots of methane fuel, and also plenty of wind power, hundreds of megawatts from a wind turbine of order tens of meters on a blimp in the atmosphere at 40 km - then they can extract oxygen from ice and use it with the methane to refuel the BFR and set off to explore the Saturn system. For residents of the Titan colony, space missions to explore Saturn's rings and its storms will be common place, also Enceladus flybys, Titan from orbit and so on. Also they will have submarines exploring the Titan lakes, which could be piloted with humans on board if there are no contamination issues, and flying in planes to explore Titan - very easy in the low gravity and thick atmosphere. And human flight too. You could don wings and fly about in the atmosphere. Amongst other things, they would be studying the Titan life if it exists - or its pre-biotic chemistry. We'd already know if there is life there as we'd need to know that to pass it for planetary protection and know a fair bit about its capabilites robotically. Surface light levels would be around thousandth of the Earth's according to the estimate in Energy Options for Future Humans on Titan - they worked out that it was about 1/100 for the distance to Saturn and an extra 1/10 for the atmosphere (though nearly all the blue light would be filtered out). That is for solar panels so not sure if it translates exactly to human vision. Anyway if we go with that, then that makes it around 100 lux, that's for the equator with the sun at noon, so 1000 times brighter than a full moon, equivalent to a dark overcast day or the lighting in a family living room at night. It would be dimmer in morning / evening and at higher latitudes of course. The atmosphere is transparent to infared so with night goggles you should be able to see Saturn and its rings clearly :). Also that means you could have infrared telescopes for observing the Saturn system - and indeed further afield, from Titan's surface. They would be passively cooled and easy to build in the low gravity. Actually it could be a good place for infrared telescopes. The light gravity would make them easy to construct and the atmosphere would be transparent in the infrared. Windows for the habitat can be large LCD's fed by live feeds of the surface outside and there can be other windows or screens relaying views from Saturn orbiters and other missions. If humans can live in Alaska, as they do, for the winter, I'm sure they can live on Titan. Then you'd have the agricultural areas inside. These could be very large in the Titan conditions. It will be easier to build a city dome there than anywhere. Filled with Earth atmosphere, and with low power LED lights, they could span kilometers and be as bright inside as Earth sunlight, if you so wished, with those hundreds of megawatts from high atmosphere wind turbines. We can do it with conventional rockets if we make them big enough. With Elon Musk's BFR his idea is to fuel it in orbit with an orbiting tanker. We could also send a tanker to Saturn in advance filled with fuel for the journey back, so that you only need fuel for the one-way journey. His BFR if he builds it has the capability of 150 tons to LEO in a single launch. Slightly more than the Saturn V.
But it's more than that because the second stage of the BFR itself has an empty mass of 85 tons and ends up in orbit and then is re-used, so you get the spaceship there as well as its fuel. Its fuel is 240 tons. If you target an Earth capture orbit fully loaded and a Saturn capture orbit for its destination, then that makes it only 4.6 km / sec delta v to transfer between those two. Once it reaches Saturn you can use Titan flybys and also aerobraking to orbit Titan or land there. A team from NASA Goddard Space Flight Center for a polar orbiter for Titan uses its atmosphere to aerobrake by 3 km / sec (see table 3). So, if we did have a BFR then we can definitely send 150 tons to Saturn with lots of delta v to spare. It involves many trips from Earth to the rocket to refill it once in the largest capture orbit around Earth that it can achieve. But he envisions it being so reusable that it can fly again the same day after landing. All this may turn out to be vastly optimistic but he surprised everyone by how well his Falcon Heavy's first launch went, and I think a few at least are wondering if his BFR will work as well. Especially since he says he is doing almost no more development of the Falcon Heavy focusing on the BFR and especially is not going to bother to get the FHR human rated. So that gives you a lot of flexibility once you start thinking of multiple launches to refuel the BFR in Earth capture orbit - and then once you can send a BFR to Titan you can send a couple to use to refuel the BFR to get it back again to Earth. Let's do a rough calculation to get an upper bound to number of flights. The delta v of the BFR is far more than is needed to get from LEO to Earth capture. So, to send 150 tons to Earth capture needs at most two tanker flights to LEO to refuel a BFR in orbit which then transfers 150 tons to transfer orbit, so four + one extra to launch the original BFR that you fill in transfer orbit, and now you have a BFR ready to transfer to Saturn. Now - keeping your original extra BFR to shuttle to and from Earth capture orbit with fuel, you need only 4 instead of 5 for each subsequent 150 ton payload to Saturn. Do that twice to pre-place fuel at Titan (assuming aerobraking) and once more to send the crew there and 13 BFR launches to LEO should do it by way of supplying fuel. That is clearly a huge over estimate as you have 6.2 km / sec delta v with 150 tons payload and need at most 4 km / sec, I think it may be less than that, to reach Earth capture from LEO. So, at most a dozen BFR's to LEO would do the trick, probably less. If they are flying several times a day, then a dozen flights could be done in less than a fortnight of flights to LEO total. And all depends on the cost per flight. But SpaceX says the costs per launch of the BFR will be less than for the Falcon 1. If that is right, that's less than $8.5 million per flight which would make the total cost for a BFR round trip to Saturn with 150 tons payload - and returning 150 tons back to Earth again, around $100 million for the whole thing! It does however also mean outlay of the cost of three BFR's, which he estimates at $200 million each (presumably once he has production plants up and running making them), two of which would be left in orbit around Titan- that could however be used as orbiting habitats for Titan or they could descend to the surface as instant skyscrapers on Titan, or one of each, one in orbit and one as an instant skyscraper which also serves as an emergency vehicle to get you back to Earth. Or if you can refuel them from Titan they could return to Earth again - but with a long time delay before they can be once more used on Earth. If anyone plans to stay at Titan, then I think keeping both of them for an emergency return to Earth is probably a good plan, one as the backup for the other. One of them returns to Earth with any that wish to return plus any extra payload you wish to return. Having those two extra BFR tankers also gets you triple redundancy for the return voyage to Earth with humans. So total cost for the BFR's plus launch costs from Earth come to $800 million using Elon Musk's optimistic figures. Not including the costs of whatever payload you take with you of course. All of this could be simplified if we have a fuel production plant on Titan - perhaps using a wind generator in the upper atmosphere as a source for power to split ice to get oxygen, and then collect methane, as Elon Musk's BFR uses supercooled liquid methane and liquid oxygen. If you can extract oxygen from the ice then you have a refueling depot for the BFR. It does depend on him achieving re-usability and vastly reduced costs to orbit. So - this is being optimistic. There could be other ways to do it if he doesn't succeed. If the Skylon flies in the late 2020s - I think myself it has a chance of undercutting the BFR and being more re-usable even with lower payload because I am skeptical it can be as reusable as he suggests. But if he is right, then he would blow all the competition out of the water unless they can achieve something even more revolutionary. As he says, the cost of the fuel is much less of a consideration than the costs due to reusability. If he can send 150 tons to Saturn and back - that's an amount within which you could hope to achieve sustainable conditions, growing plants, only 30 square meters per person with the BIOS-3 design. For a crew of four one estimate is 9.7 tons for the BIOS-3 for self sustainable crops and oxygen. If a third of the payload was agriculture, that would give you sufficient mass for crops for 20 people. That's not including the habitat space but the BFR has a pressurized interior area of 825 m3 so if you assume height of 2 meters and area of 30 square meters for crops per person, that's enough space for crops for 13 people, or 26 if you have only 1 meter of headroom for the crops, even more if some of the crops such as lettuces can be grown in multiple layers. Of course you need cabin space as well, but it would seem that a BFR could manage a crew of 20 with sustainable habitats inside sufficient to feed them all and give them all enough oxygen, for a journey of indefinite duration. As we gain confidence perhaps a BFR could be used even for multi-decade journeys. Of course lots of details to be sorted out. And you wouldn't think of doing it (in my view) until you have a lot of experience of very long duration self sustained missions close to hand, probably on the Moon. But we could do it within decades I think rather than centuries on the most optimistic assumptions. So, how soon could we send 20 people to Titan on the most optimistic estimates? Maybe 20 - 40 years? 10 - 20 years to get to the point where SpaceX is offering flights on a fully developed BFR (or if wildly optimistic, a couple of years but Elon Musk does tend to have optimistic timelines). Then another 10 - 20 years to have the confidence in long duration flights with no resupply from Earth and no possibility of a fast abort back in an emergency. It still needs more in situ research first though, I think, to establish that there are no planetary protection issues at all. Even if there are no habitats for Earth life there, as seems likely except for the possibility of cryovolcanism - you still need to think about molecules from Earth life such as RNA and DNA. Could they somehow be incorporated by Titan life? Also, if any of the life forms there exist in small quantities, hard to study, could organics from a human occupied habitat confuse the search for life in the region close to the habitat? Also, what about contamination in the backwards direction from Titan to Earth. We can show by studying Earth life that it is impossible for Earth life to survive there in its natural conditions. But we need to have a reasonable understanding of Titan life (if it exists) to know what its capabilities are. Otherwise, how can we be sure the other way around, that Titan life can't survive on Earth or in human occupied habitats? It may seems unlikely that life adjusted to those habitats could survive here. The reasoning would be that any life that works at such low temperatures must use much faster reactions than our biochemistry (unless it lives at a glacial pace). So when you warm it up, it's likely to self destruct. Also there are those cell walls likely to be reverse vesicles with the polar ends pointing outwards. That would work just fine in liquid methane / ethane. But the cell walls would disintegrate in liquid water. Some of it might have adaptations to survive in liquid water however if there are cryovolcanoes on the surface. All that makes it seem a little unlikely. But you can make a plausibility argument for it to survive at Earth temperatures even so. Here is how it could happen. What if the Titan life evolved from previous life that first originated in its deep subsurface oceans? That's one suggestion for how it could have originated. Is there any chance it could retain capabilities that would let it survive as spores, and then maybe reproduce in oil deposits or in some other way survive in the much hotter conditions of Earth? Or indeed, is there any chance that there could be a lifeform that on Titan can not just survive but actually reproduce in occasional cryovolcanoes, or lakes formed from meteorite impacts? I.e. a life that has already evolved the capability to live in both those radically different environments? All this seems unlikely, but can we rule it out before we know what is there? Also, is there any issue with Titan life getting into the liquid methane fuel of the BFR? I think that the main chance of finding Titan life compatible with Earth life would be if it has cryovolcanoes as then some life might be already adapted to survive in both of those environments, just as we have some microbes that can survive in oil on Earth though they need some water present. Also, as a planetary protection issue in both directions: Titan probably has a subsurface ocean. If so, if there is communication between the subsurface and the surface, e.g. cryovolcanoes with liquid water in place of lava, then that's an obvious contamination issue for the subsurface oceans. Titan is currently categorized as "Provisional category II" with "only a remote chance that contamination from Earth could jeopardize future exploration". There category II is the same as our Moon. But it is provisional because they say that more research is needed. Other places categorized as provisional category II are Ganymede, Triton, the Pluto Charon system, Ceres and the larger Kepler belt objects (down to half the size of Pluto). Titan would surely be studied robotically first. There are no serious proposals to send humans there right away, unlike Mars. So, unless there is some drive to send humans there quickly, we'd probably answer all those planetary protection questions already before we land humans there, just in the natural course of solar system exploration. If so, and if the results turn out favourable, it may well turn out to be one of the best place for a human colony outside of Earth. It would be a fun place to live in some ways, with the human powered flight, for instance, and the intriguing seas. And it might potentially be a biologists' paradise if there is indeed native Titan life to study. On the other hand it’s not such a great place for astronomy, at least, naked eye astronomy. Despite its spectacular location close to Saturn you’d have to go into orbit or use wavelengths able to penetrate its atmosphere to spot Saturn or indeed, stars or planets at all. But it might well be a base for astronomers and exobiologists studying Enceladus and the Saturnian rings etc - with their work done outside of Titan, maybe some of it robotically - but their main base on Titan itself. Beyond Earth: Our Path to a New Home in the Planets. Summarized in Let's Colonize Titan in the Scientific American. Enceladus is of major astrobiological interest. It has geysers that you can study to find out about its subsurface ocean without even visiting it and the ice crust is thought to be thin, making it one of the easiest places to explore with a cryobot (though Europa with its thicker ice may have rising plumes of liquid water near the surface). However, there is no way you can explore it with humans (at an early stage anyway), as it has major planetary protection issues. You'd probably just find the Earth microbes and ruin whatever biosphere is in its ocean already. If you land humans on Enceladus or they explore its ocean, you can't avoid taking the trillions of microbes in millions of species with us. And some of those would find the Enceladus ocean just to their taste. It only takes one, and you could end up with an ocean that no longer has whatever life was native to it, only the introduced Earth microbes. Depending on how vulnerable the life there is but it could be very vulnerable if it is some early precursor of life, or even, not quite alive, pre-biotic cells that reproduce but not exactly, say. Of huge interest, but it could all be gone within a short while of the first humans to land there. The native life could be gone before you know it is there. Or the first humans to land there might be the first and also the last people to be able to study the native lifeforms before they go extinct, whatever they are. Along with Europa it's one of the places in our solar system most likely to have life that is independently evolved from Earth life or at most very distantly related. After the largest impacts on Earth then a few of the rocks would make it all the way to Europa and Enceladus, but they would also spend a fair bit of time in interplanetary space and are likely to be small rocks. So most material that gets there is likely to be sterile. With Enceladus there's also the possibility that its oceans are relatively young, and if not, well the tiger stripes occupy only a small part of the surface and the ice, though thin, is still too thick for incoming meteorites to introduce Earth life easily. If its oceans were recently formed, as some think, that makes it one of the most likely places to find those exceptionally vulnerable life precursors, maybe not quite reproducing exactly, almost alive but not quite, on the boundary between life and non life, which we could learn so much from. Even if there is no life there it's of major astrobiological interest to learn what happens to such an ocean without life. I think that for as long as we are agreed that planetary protection is important and that we need to find out about any life in our solar system and preserve such places rather than make it extinct, at least for the near future we are likely to explore it only telerobotically. But it's of major interest and it would be one of many reasons why you want to explore the Saturn system. Now, liquid water below ice is a potential habitat for humans that has some advantages. But we can create such habitats ourselves. Start by diverting another object to impact an icy moon, one that has no astrobiology for us to contaminate, and this will create an icy lake that will quickly freeze over. Then humans can live in such a lake as easily as in an Enceladus ocean, and the warmth their industry generates will keep it liquid and probably expand it. There is no need to do this in the oceans of Enceladus and I think we shouldn't send humans to Enceladus myself until we know what effect we would have on its biology - or indeed pre-biotic state if there is no biology there yet. So, I don't see us sending humans to explore Enceladus any time soon, though we may well have humans in orbit around it exploring it via telepresence, going down into its oceans via cryobots and subs cruising its oceans, studying the life there via high resolution telepresence, and even with haptic feedback so that you can feel what is there. You would have a more immersive direct experience than if you were there in person with heightened senses. With Enceladus then you can probably orbit its equatorial region in a way that is safe for planetary protection, even with humans, except that sadly, its equatorial orbits are not long term stable. So you would need occasional course correction to stay in orbit. That's okay for a robotic craft and is a suggestion for an Enceladus orbiter using this technique, and from time to time it would divert to pass over its polar regions. You could do that with humans too but you'd need to be very sure you are not going to risk introducing Earth microbes to its oceans in the case of a crash. Its entire surface seems very old apart from the geysers at its poles. With care, maybe you can even have an equatorial base on Enceladus, so long as you are confident that wastes and trash from your base can't reach the poles. This would need a lot of care in the low gravity of Enceladus. It does have a reasonable escape velocity of over 500 miles per hour so it's not like you could just kick some dirt up and it would fly to its poles, but still there would be a risk to consider. It might be that you have to explore it indirectly with robotic missions in orbit around Enceladus while humans are based on a nearby moon such as Dione (perhaps). Dione also is of major astrobiological interest at least potentially as it may have had geezers originally and it is one of several moons that just possibly may have subsurface oceans today. Europa has the same planetary protection issues as Enceladus, and it may have liquid water breaking through to the surface right now. There's evidence of geysers too. It's not a desirable place for humans to land anyway. The ionizing radiation would be lethal to an unprotected human. And, though it looks smooth from a distance, close up it is one of the roughest, and also most dynamic surfaces in our solar system. An analysis of the Conamara Chaos region in 1998 shows that most of the blocks moved one to five kilometers during its formation. Many also rotated (on average by 11%) and more than half of the pre-existing terrain was destroyed during its formation, turned over or crumbled to pieces. There must have been many huge Manhatten sized areas that were totally disintegrated during the formation of Conamara Chaos. For more on this see Searching for life on Europa and Enceladus in my my Touch Mars? book - be patient, it's around 2000 pages of text in a single web page with many images and videos, so may take a while to load. In the shorter term, and for those who prefer to live on a planetary surface, we can build habitats on the "moon planet" of Callisto. This has no planetary protection issues as far as we know, and it has resources of value to us too. Artist's impression of a human exploration base on Callisto, the outermost of Jupiter's four largest moons, and its second largest moon after Ganymede. Image from page 22 of NASA's vision for space exploration, 2004. "Callisto—the second-largest Galilean satellite and the most distant from Jupiter. Scientific interest is prompted by the possibility of subsurface water. Callisto’s distance from Jupiter places it in a significantly less hazardous radiation environment than Europa, potentially permitting human surface operations. ..."Callisto is a desolate, minor planet with more impact craters than any other object in the solar system. Its crust dates back 4 billion years, which was around the time that the solar system was formed. This ancient surface may be able to provide valuable information about the state of the early solar system. In addition to scientific information, Callisto will also be able to provide mission resources; e.g., propellant for the mission lander." Later on with its abundant ice resources, perhaps Callisto could be a "refueling stop" in the Jupiter system? Elon Musk suggested Europa as a "fueling stop" but that has obvious planetary protection issues and it is also deeper in Jupiter's gravity well. Elon Musk showed an artist's impression of his Interplanetary Transport System on Europa as part of his visionary speech in 2016. This is a spaceship he plans to build large enough to hold a hundred colonists or explorers at a time. He said that it could use Europa as a refueling stop in the outer solar system. Well Callisto is just as good a refueling stop, perhaps better, and it doesn't have the planetary protection issues of Europa. Actually his artist's impression here perhaps more closely resembles the surface of Callisto, as Europa's surface is probably very rough on the meter scale (at least on current understanding) and not nearly as smooth as it seems from the distance. Also Callisto has a surface of ice - see the artist's impression for Callisto below, it's not dissimilar. Callisto orbits just outside Jupiter's hostile radiation belt (the other Galilean satellites all orbit within it) and has a thick surface layer of ice like Europa. It's dark in colour and clearly has a significant amount of non ice material on its surface as well, which could be useful as resources. According to one study, Callisto should have accumulated a thick surface layer of between 120 and 140 meters of organics and other materials from carbonaceous chondrite asteroids and comets that got captured by Jupiter as irregular moons. It has a thin "atmosphere" of carbon dioxide, so thin that it's really an exosphere with the molecules seldom colliding. However even such a thin atmosphere is impossible unless it is constantly replenished. This could be the result of ions bombarding organics on its surface and decomposing them. It could also be the result of outgassing of primordial materials - like the outgassing of carbon dioxide which we get from comets. See this paper for details. It does have a subsurface ocean, scientists believe, but as far as we know so far, the surface is totally stable, unchanged for billions of years, and with no planetary protection issues involved. It's a "Category II". "Of significant interest relative to chemical evolution and the origin of life, but where there is only a remote chance of contamination" This means it is similar in planetary protection status to our Moon, so there shouldn't be significant planetary protection issues sending humans to its surface. Constructing facilities for humans on Callisto with "Robonauts" to help. This is their "large scale" concept with two unpressurized "bulldozers" and three robonauts. They envisioned a crew of six, at least three land on Callisto, a round trip of three to five years from Earth to Callisto, and one of the things the crew would do is to teleoperate a Europa submarine remotely from Callisto. They would be useful for teleoperation of any robotic spacecraft in the Jupiter system indeed. They'd also study Callisto. In this 2003 study, NASA also worked on a spacecraft design for a mission to Callisto, in this paper. Much of the details of that idea will be dated now of course, fifteen years later on. This summarizes the reasons for choosing Callisto in the HOPE study. (2) the availability of in-situ resources to support a human mission. The body chosen for the HOPE study was Callisto, the third largest satellite in the Solar System, and the outermost Galilean moon of Jupiter. Orbiting at a distance of ~1.9 million kilometers, Callisto is located beyond Jupiter’s main radiation belts making its local environment more conducive to human exploration. Callisto is an icy, rocky world with a surface gravity of ~0.127 gE and a composition consisting of water-ice and rock in a mixture ratio of 55:45. Besides having significant quantities of water-ice for propellant production, Callisto’s heavily cratered and ancient landscape (~4 billion years old) has a relatively low albedo indicating that significant quantities of non-ice materials and asteroid dust may reside on its surface." This is Erik Seedhouse's book about a human mission to Callisto. If we send humans to Callisto, or use habitats built in Jupiter orbit using local materials, then we have an interesting and useful destination for humans in the Jupiter system, a "refueling stop" for the journey home or indeed for voyages within the Jupiter system and beyond, a local base for telepresence exploration of Europa, Io and Ganymede, easy of access and protected from Jupiter's ionizing radiation. What's not to like about that? There's another place we can send humans in Jupiter's system (apart from its numerous smaller moons, many orbiting beyond the radiation belts). Jupiter's largest moon, Ganymede, like Callisto, is "provisional category II" which means it needs more research. It's more varied than Callisto, with a mixture of terrain that is very old and terrain that is younger. However it seems to be no longer geologically active. It orbits within Jupiter's radiation belt so it has high levels of ionizing radiation/ But it is somewhat shielded because it has a magnetosphere. Ganymede gets 8 rems a day, meaning that in a single day on Ganymede you receive as much radiation as you do in 333 years on Earth. That's a lot compared to Earth. But it's much less than Europa though with its 540 rems a day (500 rems is considered fatal for humans). It has abundant resources of silicates and iron, which might be enough of an advantage over Callisto to make it attractive. Bases on Ganymede could be built underground to protect from ionizing radiation, and as for Callisto, there's abundant ice for water and fuel. Ganymede is provisional category II so more work would be needed to check whether there are environments there where life from Earth could survive and to check that there is no significant risk of contaminating them if there are. Photograph by Galileo of Jupiter's Callisto, showing its ancient cratered surface, the most heavily cratered region of our solar system. It shows no signs of any large scale geological processes on the surface apart from cratering. It's thought to have an ocean deep below the surface but there seems to be no connection with the surface. As a result it is classified as Category II like the Moon. There are no known planetary protection issues with humans setting up a base here. It's got a cratered surface with no sign of any modification. If any humans there want to study its subsurface ocean they would have to drill deep. The ocean, if it exists, is at least a few kilometers thick and is less than 300 kilometers below the surface, however, it is not too likely to be habitable. The same would be true for any other icy moon or dwarf planet, with its subsurface not connected to the surface, and no surface habitats for present day life. Its ocean is probably salty. It might perhaps have life, but it's only heated by radioactive materials in Callisto's core so wouldn't have the energy flux of the Europan ocean which is heated by tidal heating as well. Some people want to live in a subsurface ocean, thinking it would be a better place to live than the surface. And there may be something to it. A bit like living on the sea bed on Earth. It's never taken off here to date, but it may be more attractive in the harsh conditions of space. Well, you don't need to colonize one of the already existing oceans, with their biological interest and potential for contamination. Impacts into icy bodies create subsurface lakes naturally and these can last for a thousand years or more. So, especially in a system with so many moons such as Saturn, and probably Jupiter also, it's a case of finding a way to divert another object to hit an icy moon. It makes more sense if you want to do that to hit Callisto or Titan or indeed one of the many other icy moons of Saturn, with much thicker layers of ice and with ancient surfaces with layers of organics and other materials from the impacts of comets and carbonaceous chondrites. If you can have a large enough impact you can create a lake that quickly freezes over and then stays liquid for thousands of years - or indefinitely if you had humans living in it with their waste heat. It is a possible way to set up a colony that may be easier in some ways than building conventional habitats. It's similar to Titan in some ways, in a shallow ice covered lake you only need aqualung gear to go outside your habitat and a wetsuit to keep you warm. The advantage over Titan is that this is a type of habitat that can be created artificially by impacts anywhere in the outer solar system. The habitats can be equal pressure inside and out so long as the lake is reasonably shallow, which would help with construction. I don't know of a study for the Jupiter or Saturn system, but for Mars, models suggest that large craters of 100 - 200 km in diameter in the early solar system would have made lakes that stayed liquid for as long as one to ten million years. This happens even in cold conditions, so it is not limited to early Mars. A present day comet a few kilometers in diameter could form a crater 30 - 50 km in diameter and an underground hydrothermal system that remains liquid for thousands of years. The lake is kept heated by the melted rock from the initial impact in hydrothermal systems fed by water from deep underground. It would be rather similar except that waste heat from the human settlement would keep the water liquid rather than hydrothermal vent systems. If you want a biosphere in the lake you'd need to find a way to supply it with light - as for organics, and other things life needs, Callisto has them in abundance, much more so than Europa because of its old surface with an estimated well over 100 meters thickness of organics and other materials from impacts by comets and carbonaceous chondrites. 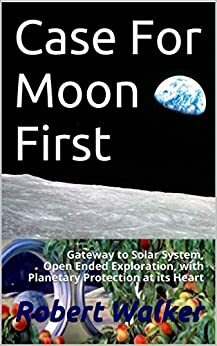 I have written three e-books on this topic of humans in space and planetary protection issues. Also available on Amazon kindle. It is designed for reading on a computer with embedded videos and links, and I have no plans to attempt a printed version.